Compact adjustable media tray with tripod stand. 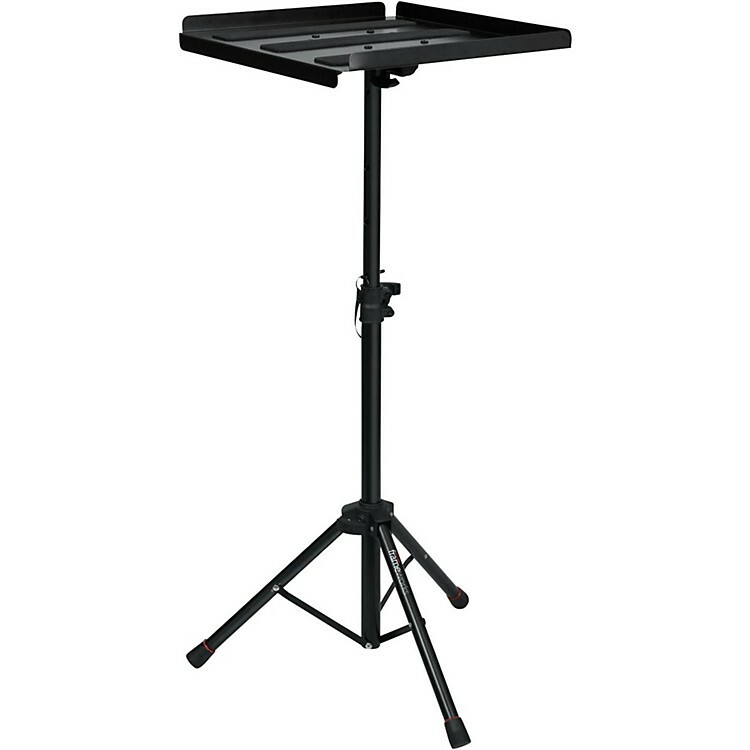 Adjustable height tray for stage applications. These work great for rhythm instruments, tablets or any other accessories you need to have at the ready. Simplify your stage. Order today.